There are many well-known sites in Israel that are popular, that visitors see again and again while missing out on other hidden gems. Many people have seen the Chagall Windows at Hadassah hospital in Jerusalem but far fewer probably know about the stained-glass windows that Israeli artist, Mordecai Ardon designed. Many people have visited Yad Vashem but far fewer have visited Lohamei HaGetaot, a kibbutz near Akko founded by those who fought and survived the Nazis. Many people are familiar with the Bahá’í gardens in Haifa but far fewer have visited the Bahá’í gardens just north of Akko. The gardens in Haifa comprise a staircase of nineteen terraces extending all the way up the northern slope of Mount Carmel. The golden-domed Shrine of the Báb, the resting place of the Prophet-Herald of the Bahá’í Faith, stands on the central terrace, looking across the bay towards Akko. 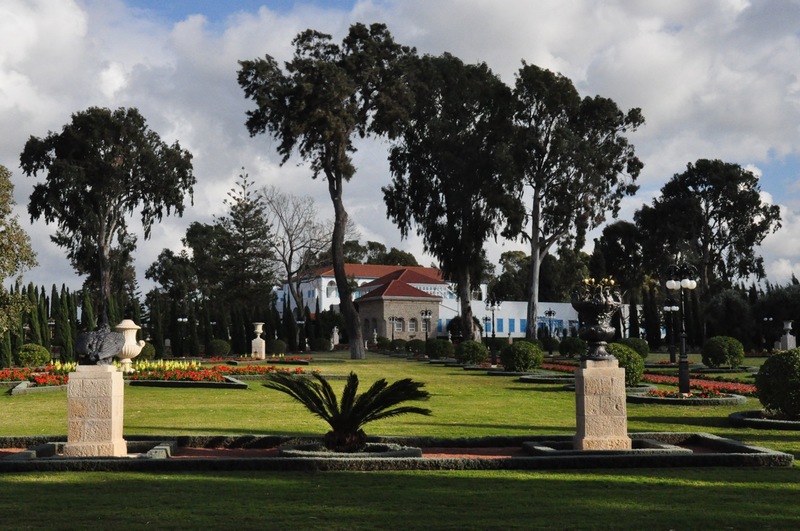 There the gardens at Bahjí reflect the beauty and serenity of the Haifa gardens. 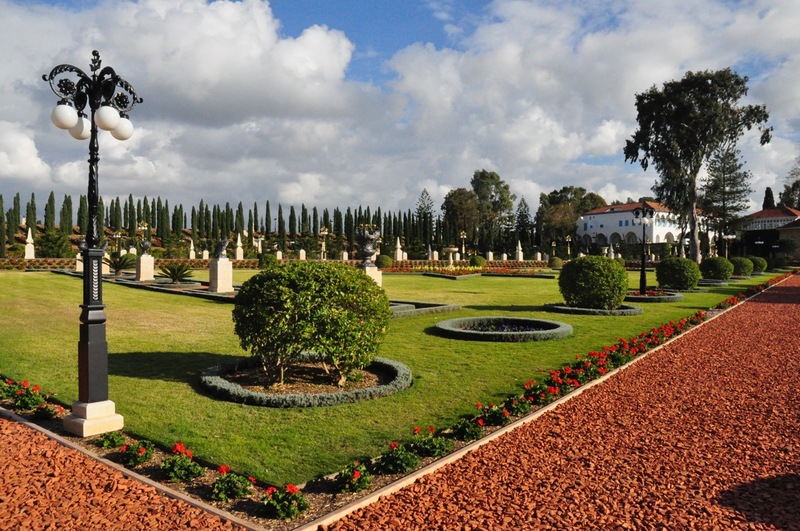 The gardens form a large circle surrounding the historic mansion where Bahá’u’lláh, the Prophet-Founder of the Bahá’í Faith, lived during the final years of his life after he was released from Acre Prison by the Ottoman Turks and the shrine where he is buried. Later during the British Mandate period, Jewish resistance fighters were held in the Acre prison and 9 died there on the gallows. Today the prison is a museum and has been recently updated to dramatically retell the story of the Hagana, Irgun and Lehi struggle with the British, definitely worth a visit. There is another less well-known museum to the underground prisoners in Jerusalem in the Russian compound. The Old City of Akko was designated a UNESCO World Heritage site in 2001. 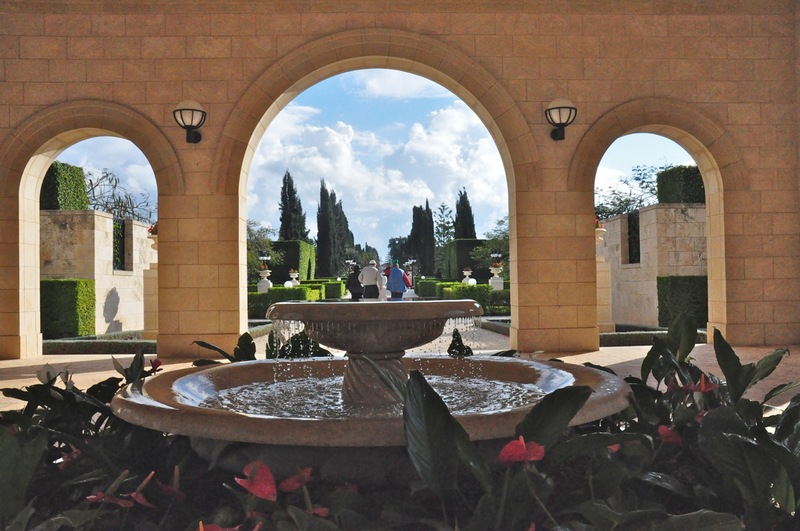 In July 2008, the Bahá’í Gardens in Haifa and Akko were listed as UNESCO World Heritage sites, in recognition of their “outstanding universal value” as holy places and places of pilgrimage. Like all great works of art, these extraordinary sites are tangible expressions of the human spirit. 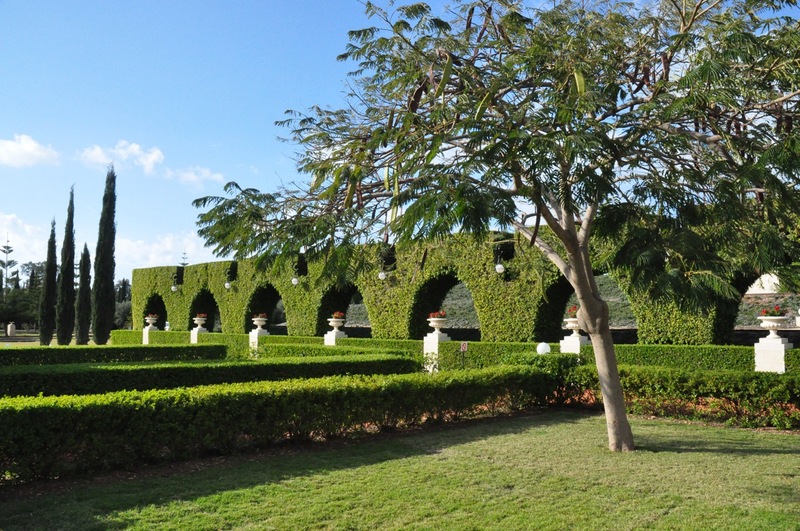 One of the striking formations near the entrance is a trimmed hedge in the form of an aqueduct. 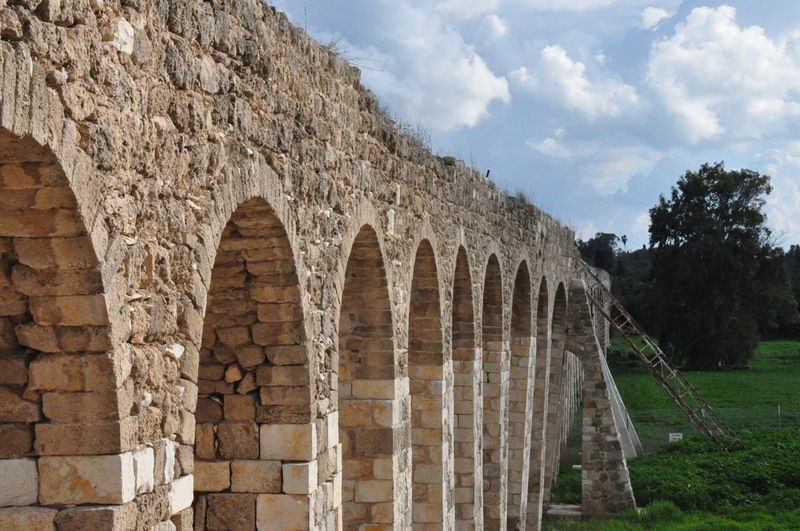 Many people are familiar with the aqueduct that Herod built, onto which the Romans tacked a second aqueduct to bring water to Caesarea but there is another less well-known aqueduct. Just north of Akko, by Kibbutz Lohamei HaGetaot is an aqueduct from the Ottoman period built on an earlier one from the Hellenistic period that was built to bring water from the Cabri springs to Akko. Kibbutz Lohamei HaGetaot was founded in 1949 by a community of Holocaust survivors, members of the Jewish underground in the ghettos of Poland, and veterans of partisan units. Integral to the kibbutz from the beginning was the Ghetto Fighters’ House – Itzhak Katzenelson Holocaust and Jewish Resistance Heritage Museum for documenting and researching the Holcaust. The museum serves as a testimony to the stories of the survivors and an expression of the return of the Jewish people to our land. Beside it is Yad Layeled (Monument to Children), an educational center commemorating the one and a half million Jewish children murdered in the Holocaust. The building was designed by Ram Carmi of two main architectural elements: a central 3-story cone and a descending ramp that encircles the cone and defines the path through the space. The space is lit by natural light that enters through a circular stained-glass window on the domed ceiling of the cone that becomes dimmer as you descend until you reach the innermost sanctum and eternal flame. Yad Layeled gives the visitor an intimate view of the children’s world during the Holocaust and opens a door to their dramatic experiences and pain. It is unique in that it is intended to reach out to young people (ages 10 and up). The other permanent exhibitionis dedicated to Dr. Janusz Korczak, a Polish-Jewish doctor, author and educator who devoted his life to children. Many people visit Yad VaShem but fewer people know about Lohamei HaGetaot. That’s a good reason to hire a guide – a guide can take you places and share experiences that you probably won’t discover on your own. 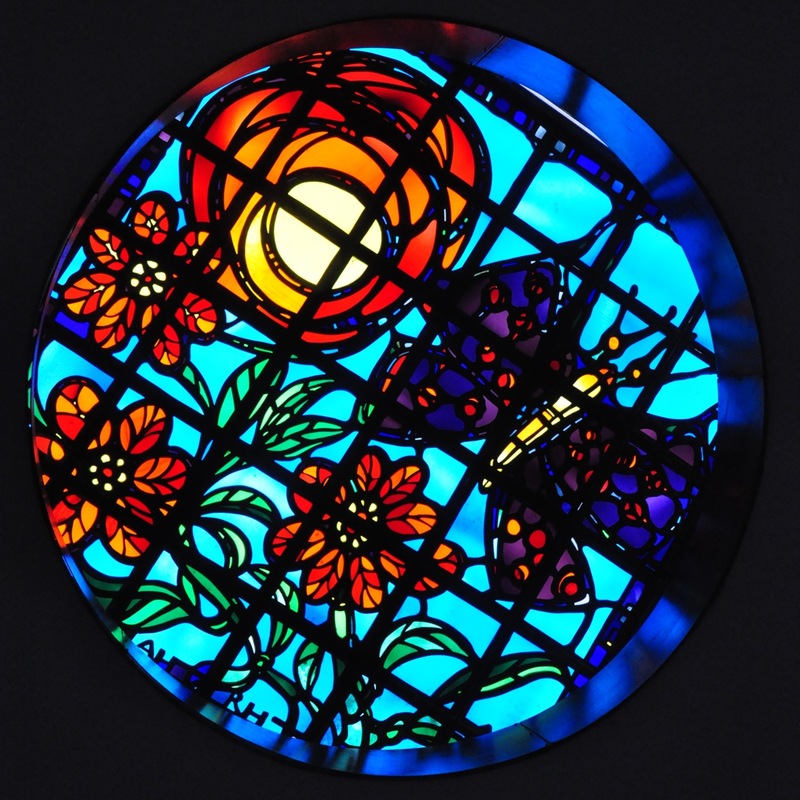 This entry was posted in Archaeology, Architecture, Museum, Travel, Water and tagged Acre, Akko, aqueduct, Bahai, Bahai garden, garden, Holocaust, landscaping, museum, postaweek2011, stained glass on February 15, 2011 by Shmuel Browns.